Is your company big enough to worry about SDL or BEE. If so, take note! Making its first appearance, Workplace Learning Programs for business! University accredited Workplace Learning Programs for business! Invest in your existing staff by training them online on our business courses, and claim a leveraged amount from your Skills Development Levy (SDL) budget. Referred to in our world as Workplace Learning Programs or WLPs, these monthly programs create a leveraged claim approached for your Skills Development Levy while training existing staff. 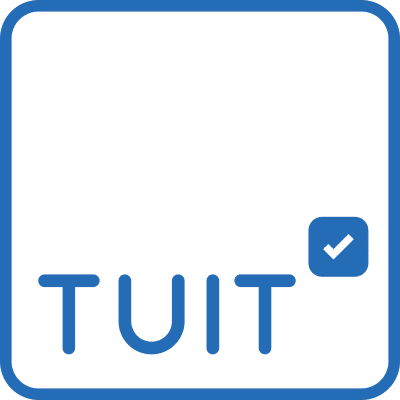 Tuit, in partnership with Proud Afrique Human Capital and UFS Business School developed this first to market, Category B programs that run over a couple of months each. Now you can train existing salaried staff over a couple of months, online, and claim the full salary of the students from your SDL budget. At the same time empower your staff and benefit from BEE score. The programs are business subjects and each run over a couple of months online. Your existing staff get trained and up-skilled while your business benefits from a leveraged SDL claim, by claiming your staff full salary. Tuit is proud to announce our partnership with UFS Business School and Proud Afrique Human Capital to launch this amazing landscape changing online education product. Working with WLP’s from Tuit and Proud Afrique, doesn’t conflict with any other existing education or BEE supplier you might have. Workplace Learning Programs (WLP) is one efficient way for a company and its staff to take advantage of these legislatures. The education and development of employees through Skills Development funding means the company carries the cost of relevant, affordable courses for your staff and in exchange, the company can claim the staff’s salaries back from the fund plus the company gets a vastly improved and an infinitely developing team. Enrolling staff members to courses that are relevant to their work and their development ensure that the fund is not wasted by inadequate learnerships that do not benefit their grantees or the companies they are deployed to. Rather than having an unqualified, ineffective intern learning very little and adding nothing to teams, developing permanent existing staff members empowers the company and those that make the company what it is – the employees. Employees are also able to enroll in WLP courses with as little pressure as possible with online learning having become an easily accessible and affordable solution to education – providing an opportunity for maximum return from the minimal investment. Education is the key to getting your BEE and SDL right, but you have to get education right too! Training that is registered and accredited is not hard to find but we don’t need to train employees for the sake of training them but rather so that they are improved or developed in their work and careers. Companies that are in specialised industries providing specialised goods and services often struggle with this. This is highly unfortunate because these are the companies where it is most vital that specialised skills are shared and maintained. Either those with the skills become accredited, or they partner with accredited institutions to provide their necessary courses to not only their staff members but also to anyone seeking to expand their knowledge in that specific field, further spreading knowledge and skills to those who need them efficiently. This new WLP product related to the Economic Empowerment charter and the Skills Development Levy. Read more about how the WLP influence thse aspects in our other blog: DISRUPTING BEE & SDL!